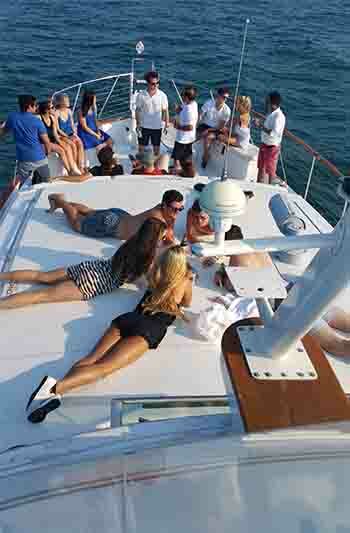 Private Chicago yacht rentals party boat charters dinner cruises Chicago IL. 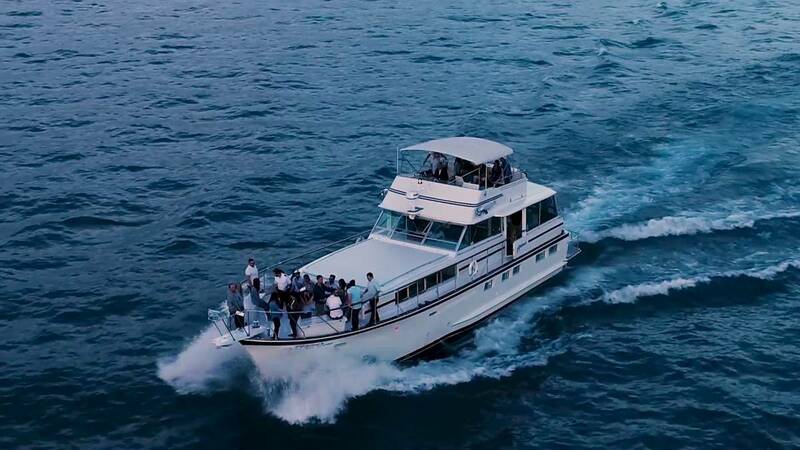 For the best Private Chicago Yacht Rental, it’s Adeline’s Sea Moose a beautiful luxury yacht with an overall length of 68 ft and is a prized vintage jewel, with its masterful blend of power and grace it virtually glides you through the water. 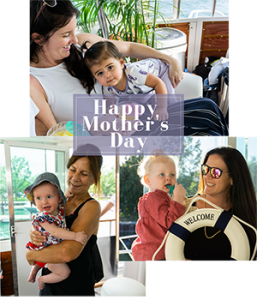 Adeline’s Sea Moose combines the traditional charm, comfort and discreet service of a bygone era, with the luxury, technology, and facilities of the modern age. She offers outstanding opportunities for relaxation, both on deck and within her interior. 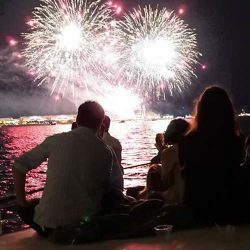 It is easy to understand the popularity of the delightful aft deck salon with wet bar, be it for open-air dining or merely for the possibility of solitude with a good book. Above, the flybridge offers a large seating or lounging area. 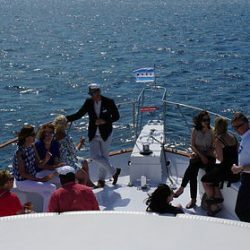 Here guests can enjoy the sun, cool drinks, or gather for a sunset cocktail as a prelude to dinner. 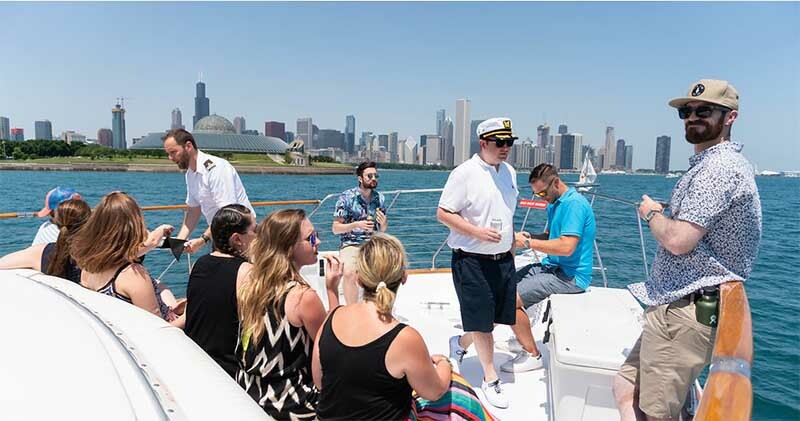 Adeline’s Sea Moose has everything you need to host the perfect luxury yacht party and she may not be the biggest yacht in Chicago, but Adeline’s Sea Moose is the most exclusive one with a wonderful crew at your service. 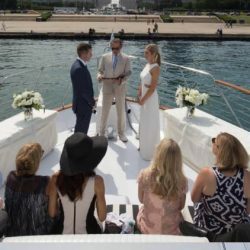 The privacy and pampering the Adeline’s Sea Moose and her crew provide is especially appealing to entertainment and sports celebrities, and with the fabulous Chicago skyline as a backdrop, she is an ideal Chicago yacht rental for any occasion, including marriage proposals, sharing wedding vows and celebrating anniversaries. 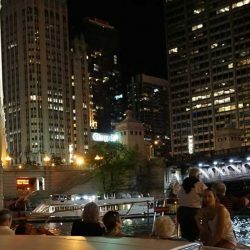 In addition to having the pleasure of serving a range of personal occasions and business activities, Adeline’s Sea Moose and her crew have been called upon to help make holidays, Chicago events, tourist visits and even City, State and National days of recognition that much more special and memorable. 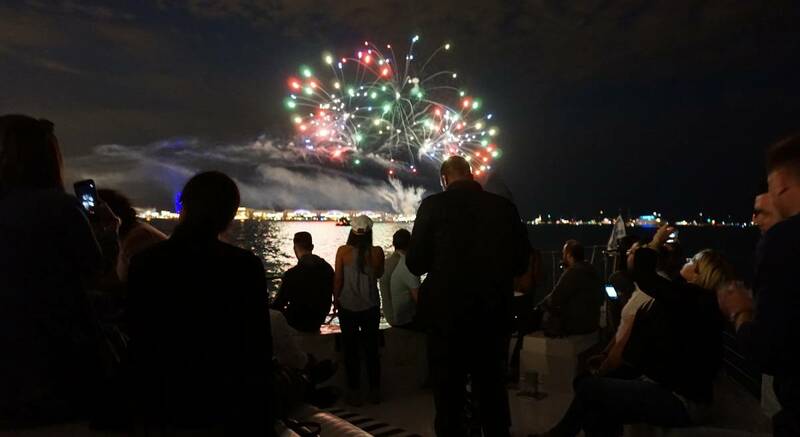 Perfect private viewing of the spectacular Navy Pier Fireworks shows every Wednesday and Saturday from Memorial Day to Labor Day. The video is just a 28-second sampling of the display. 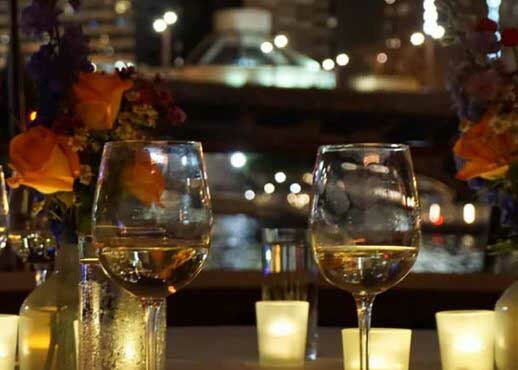 A favorite Chicago yacht rental, Adeline’s Sea Moose is also becoming popular for a private dinner cruise catering to dinner on a boat romantics and the cut-loose Chicago party yacht for corporate charters in Chicago. 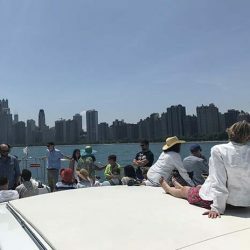 For the best Chicago yacht rental for the perfect venue for pleasure and business, it’s our private luxury yacht Adeline’s Sea Moose and her discreet, attentive crew. Adeline’s Sea Moose is available for dockside rentals and onboard overnight stays. YAHOO! 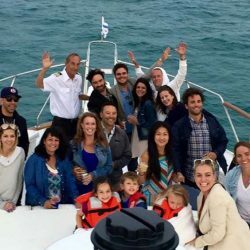 We mean that literally as YAHOO choose the Adeline's Sea Moose and her crew to help them successfully mix pleasure and business.